As you lay your weary head to rest at night, hippos graze in front of your tent, snorting occasionally. At Camp Xakanaxa, you won’t find concrete walls; at this authentic camp, only canvas will be between you and the wildlife. 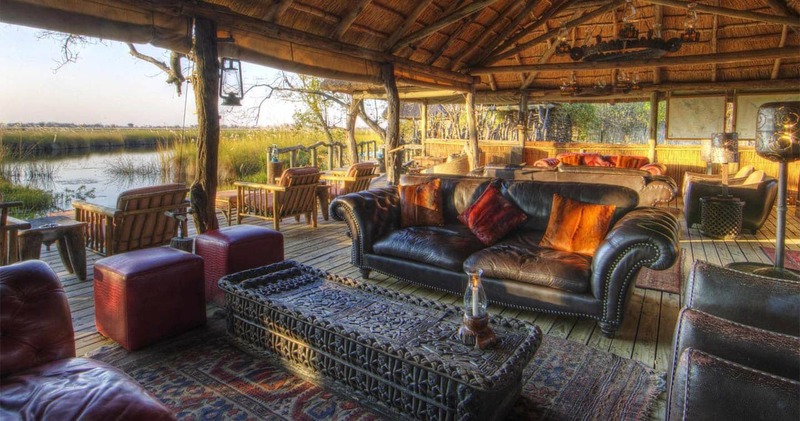 Located in the heart of Moremi Game Reserve, often rated as one of the best wildlife viewing areas of Africa, is an original bush camp, Camp Xakanaxa. Not only will you be in touch with the environment, but the staff of this camp is also absolutely heart-warming. Manager Ben is one of those hosts with the unique ability of truly making you feel special. His hospitality radiates through the entire staff, as they all seem to have a great eye for details and make you feel like family from the moment you arrive. 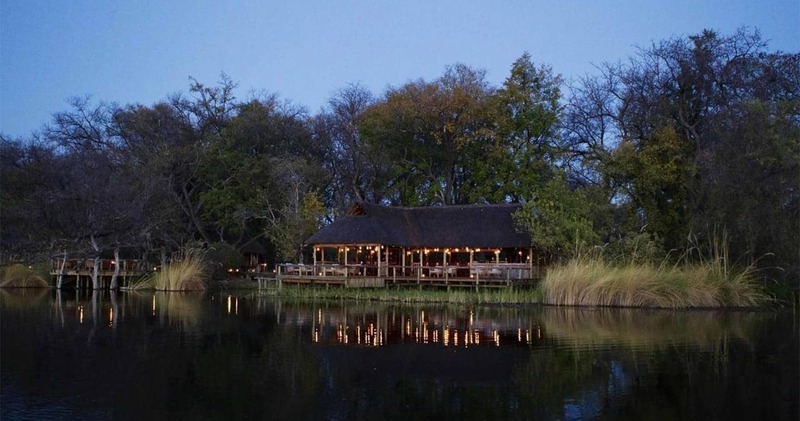 Its idyllic location on the banks of the Khwai River overlooking the Xakanaxa Lagoon ensures it is one of the few camps to provide you with a year round land and water, game viewing experience. The twelve tents are all canvas, Meru style, classic safari accommodations, raised on decks and blending harmoniously with nature. The tents are spacious and tastefully furnished with twin or double beds and en-suite showers, hand basin and toilet facilities (take special note of the magnificent views from the ladies restrooms). There are fans, toiletries, plug points, hairdryers, gowns and ponchos. Situated on the fringes of a dreamlike lagoon, each tent has a private viewing deck with comfortable loungers to settle down at sunrise or sunset. Although luxurious, the tents retain a connection to the outdoors. 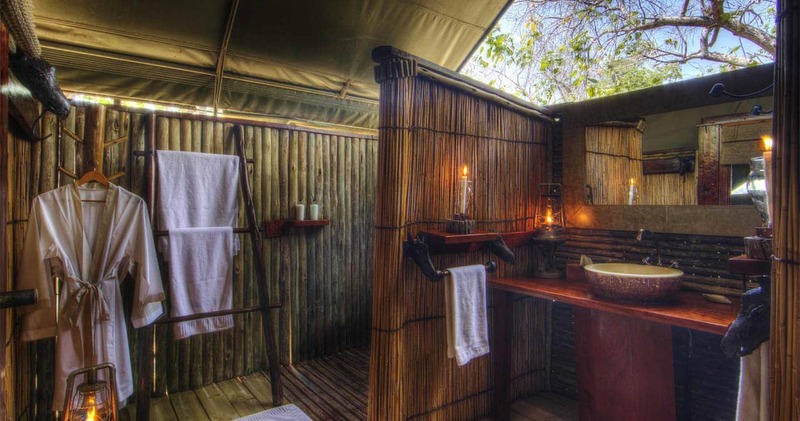 Set on raised wooden platforms under the shade of towering trees, Camp Xakanaxa's thatched dining room, lounge and bar area, curio shop, fire deck and plunge pool are the perfect amenities to let you relax, unwind and simply kick back. Take in the eclectic mix of furniture from all over Africa and make yourself feel right at home. ‘Morning, morning!’ A warm voice will wake you up every day at Xakanaxa Camp. And this is an early rise, so you are there when animals emerge from their hiding spots. Hop in a safari vehicle and go down winding tracks. All guides at this camp love to point out Botswana’s natural splendor, and there is a lot to discover: venture out through Mopane forests and across lush grasslands. 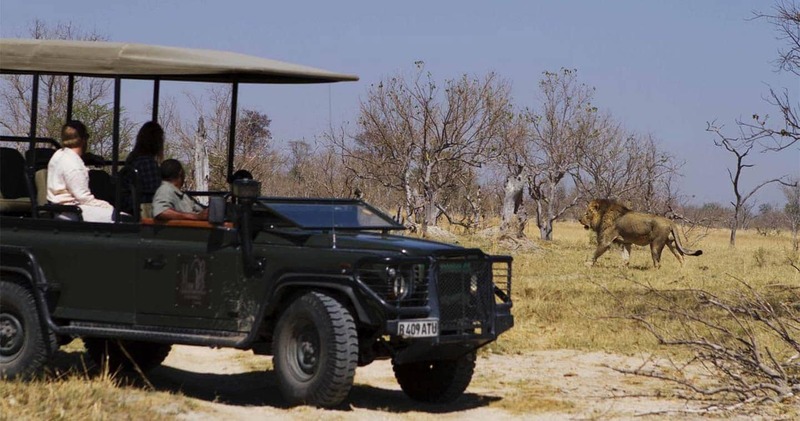 Spot cheetahs, elephants crossing the road, buffalos, lions, incredible birds and many more. A true Okavango experience is not complete without a boat trip; glide down the Khwai River, and explore the sinuous channels and floodplains of the Delta in a dugout canoe or motorised boat. Birding in the area is excellent, especially in the spring and summer months when migratory species are breeding. 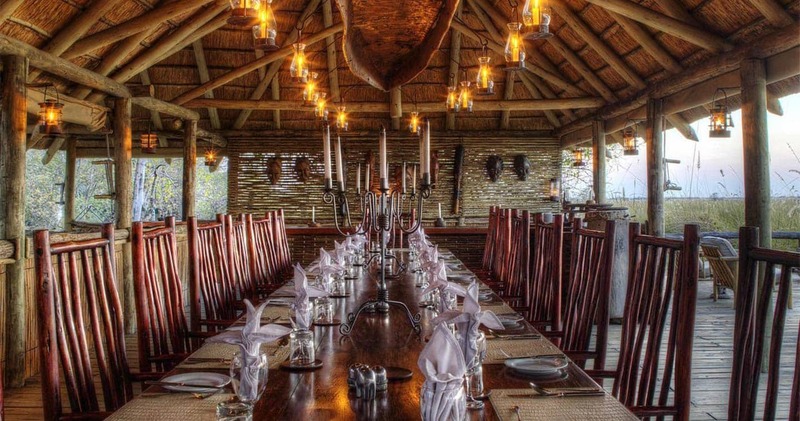 After returning from the afternoon safari activity, you will arrive to a camp lit by dozens of paraffin lamps and candles, and drums will announce dinner. Everything is homemade, so make sure you write down some of the salad recipes from the chef. Every detail is attended to here at Xakanaxa Camp, and they have been doing it perfectly for many, many years. We started at Chobe Game Lodge so the tented accommodation at Xakanaxa, which was excellent, brought home to us that we were on safari. We have nothing but good things to say about this camp, the game drives, the staff and the food (especially the bread baked on site). 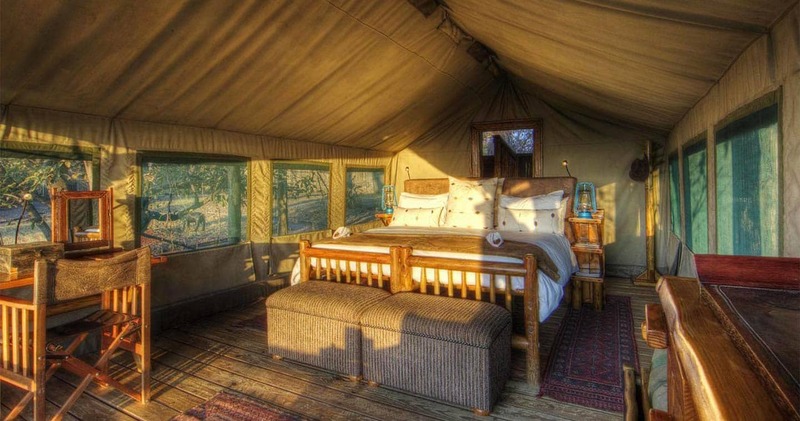 Yes, we could hear the hippos rummage around our tent at night and the sightings were wonderful. There are several lodges claiming to be the best. We haven't tried them all, but after 2,300 miles of driving and staying at 4-5star lodges through Namibia and Botswana, this was amongst the best we stayed at. Henriques lead a team providing Hospitable communal areas, , comfortable tents, good food, good game drives [by boat] in the delta with Chemical [the guide!]. 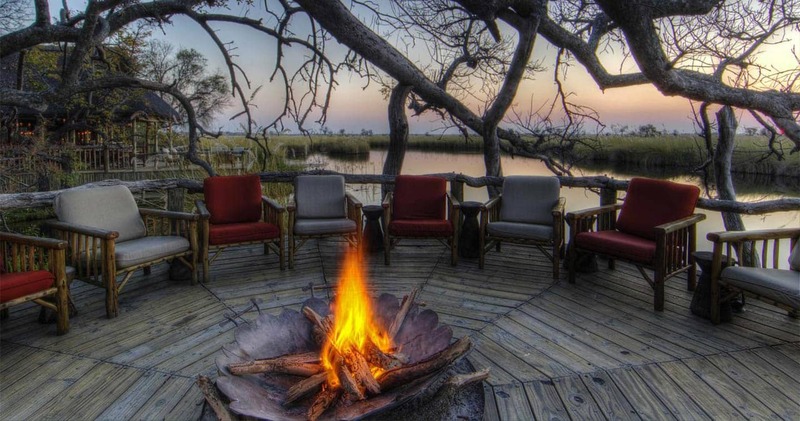 Xakanaxa Camp is located in the heart of the Moremi Game Reserve and is one of the oldest camps in the Okavango Delta area. Read all about travelling to Camp Xakanaxa on our getting to Moremi page. Camp Xakanaxa is best accessed through Maun Airport. We hope you have found all information needed to decide that Camp Xakanaxa in Moremi Game Reserve is the perfect place for your next travel adventure. Please fill in the contact form and we will get back to you soon!